In the modern era, Civilization has settled into this odd pattern. It started with Civilization IV, which had an initial entry that saw critical acclaim and several expansions that improved upon that game with more depth and nuance. 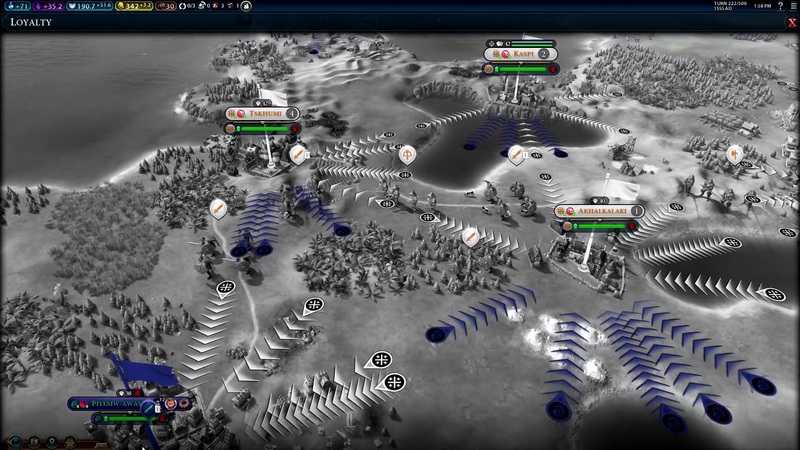 When Civilization V launched some years later, it was also treated to above average reviews. The problem was an unfavorable comparision to the complete version of Civilization IV. Each new Civilization has to start from the bottom, so to speak, and fans always have features they enjoy from a previous entry that don't make the transition. This led to this weird community consensus where the current Civilization isn't loved until a few expansions in. If you ask "Should I buy [current Civilization]?" the answer will likely be, "No, it's missing [insert feature], you should buy [previous Civilization] Complete." This is the Civilization Cycle, for lack of a better term. Civilization V reached the Real Civilization™ period with 2013's Brave New World. 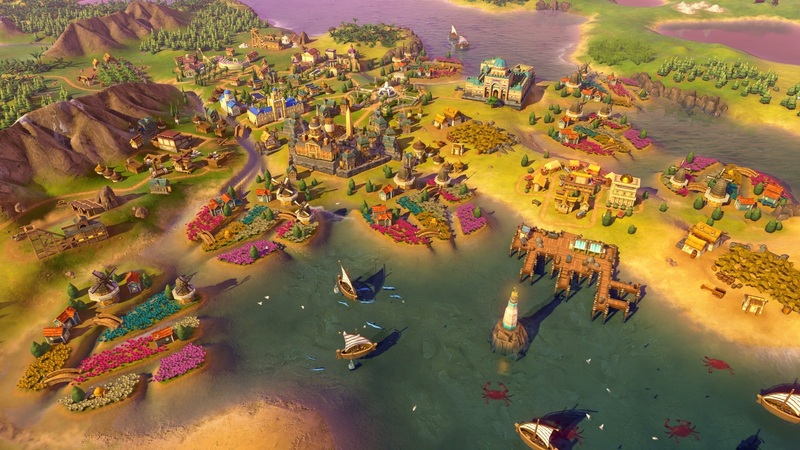 Where does Rise and Fall leave Civilization VI? Well, in a slightly more peaceful place for one. Civilization VI was a bit heavy on the conflict and expansion. This makes some sense given that it's a 4x strategy game—eXplore, eXpand, eXploit, and eXterminate—and the last three X's are somewhat aggressive. The non-violent Cultural Victory was one of the harder winning conditions and you couldn't consume land and cities that were already owned with cultural influence. Religious expansion was intended as a replacement, but if Philip II of Spain was a part of your game, this generally meant starting a war with him immediately. A number of Civilization VI: Rise and Fall's changes allow for more diplomatic options and internal control. A new Loyalty system is a reexamination of the Culture Flip mechanic by Firaxis. Each city has Loyalty and low Loyalty cities are more likely to revolt and become Free Cities, which are free pickings for rival Civilizations. This also affects borders, which were set in vanilla Civ VI: you could expand your borders outwards, but once they met someone else's borders, the lines were rigidly defined. In Rise and Fall, there's room to push someone's borders inwards as you peacefully expand your empire. This also promotes a more holistic view of your empire, with an aim for making every city feel like it's a part of the larger whole. Satellite spoiler cities didn't really work in the base game from a resources perspective, but they're even less viable under this new system, because their Loyalty is next to nil. You need roads, clear lines of trade, cultural landmarks, and garrisoned military units to keep your citizens happy and feeling like they're a firm part of your empire. Loyalty also makes it hard to simply conquer an enemy's cities and keep them, since they're not usually within your natural borders most of the time. To help hold onto your cities, Rise and Fall adds Governors. These work somewhat like Heroes in Endless Space 2 or Endless Legend. You can earn up to seven Governors in each game, with each Governor offering bonuses to city. Need shore up a distant city with military might? There are Governors just for that purpose and every Governor gives a Loyalty boost to their city. Moving your Governors around strategically to patch holes in your empire is not a part of overall empire management. Loyalty is especially key with the new Golden and Dark Ages. In base Civ VI, there were eras defined by your tech tree progress, with your position in say, the Ancient, Medieval, Industrial, or Technology eras determined by your farthest-researched technology. Firaxis has switched over to a system where the world will simply shift over to a new era at predetermined points. Your aim is to gain Era Points before the worldchanges to the next major era. At different thresholds, you get different ages: earn a wild amount of Era Points and you get a Golden Age, while a tiny total means you're in for a Dark Age. Points are earned primarily by building Wonders, discovering Natural Wonders, researching technology, improving your religion, or having a slew of great military victories. All of these feed into an achievement system based around Historic Moments, which offer a certain amount of Era Points. You can also set a Dedication when you move into a new era, which amounts to a specific vision for your empire, imparting new bonuses. Within Golden Ages, you're able to push your boundaries and empire a bit more. Cities become more loyal and the Dedication bonuses are stronger. It's very good for surging ahead from a good position or playing catch up from a bad one. Dark Ages lower Loyalty, making it more likely that you'll lose your cities and shrink your borders, but it also makes it easier to get a Golden Age next time. Moving from a Dark Age to a Golden Age opens up a Heroic Age, allowing you to pick three Dedications. If you have proper planning, it may be worth it to push yourself towards a Dark Age, ride it out, and benefit from the Heroic Age. It's all about proper planning. The ultimate effect of the new Eras and Era Points is players are moved away from hard specialization. You can focus on a single thing like building a strong military, but that one thing will likely not give you enough Era Points for a Golden Age. This is a good and bad thing. 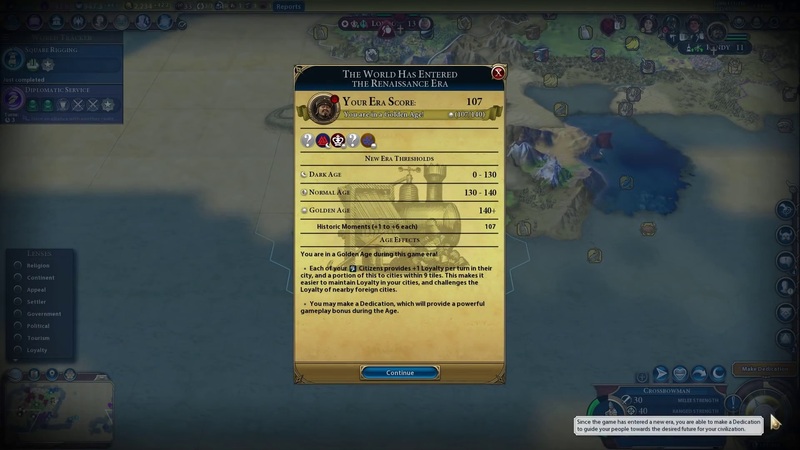 It makes you more likely to utilize different aspects of Civilization VI, but it also means that you'll occasionally put down the project you're currently focusing on because the Era is almost over and you don't have enough Era Points. The pendulum swing from Dark to Golden Ages means that there are also fewer chances for a civilization to fall way behind too quickly. Rise and Fall has a host of changes aimed at offering more diplomatic options. Alliances have been fleshed out with different types: Research, Military, Economic, Cultural, or Religious. Each provides a specific benefit, but the longer you have an Alliance, the more it will level up and provide stronger bonuses. The AI has also been tweaked to make moves that make more sense overall. There's less dropping an Alliance or declaring war on the random, though during my playtime, I still found this happening. They'll still break promises when they feel like it, so trust no one, and some of the hard Agendas make no logical sense when put in practice by the AI. 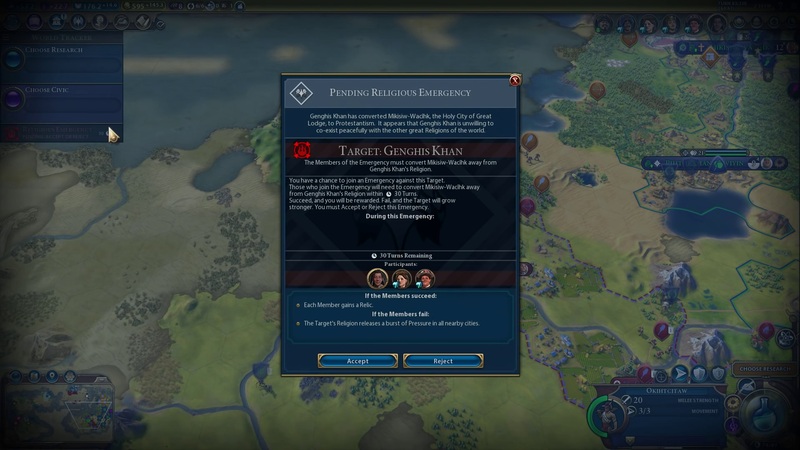 Firaxis is still patching the AI, so this is something that will keep changing, but we're still not quite there yet. Emergency Situations are the Blue Shell of Civilization VI, allowing folks to band together against a Civ who's pulling ahead in a certain area. When an Emergency Situation comes up—like using a Nuke or stealing a key city from an opponent—players are encouraged to join up and fulfill an Emergency objective. Doing so nets you permanent benefits, like Gold or a passive bonus. 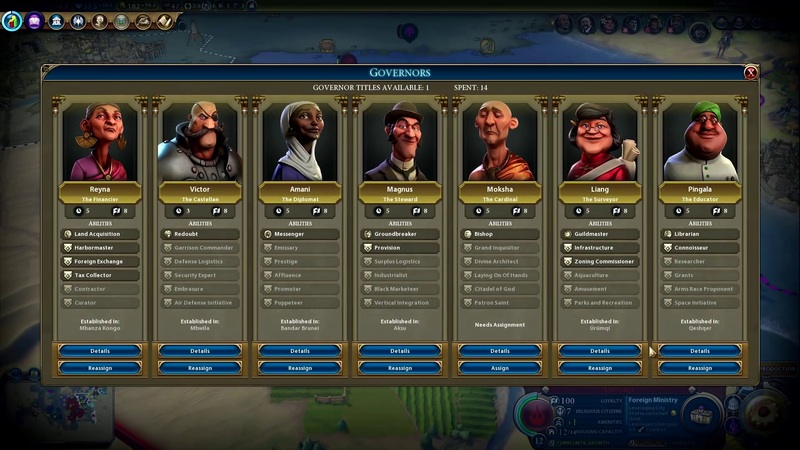 I've focused more on gameplay changes so far, but Rise and Fall also adds a host of new Civs. 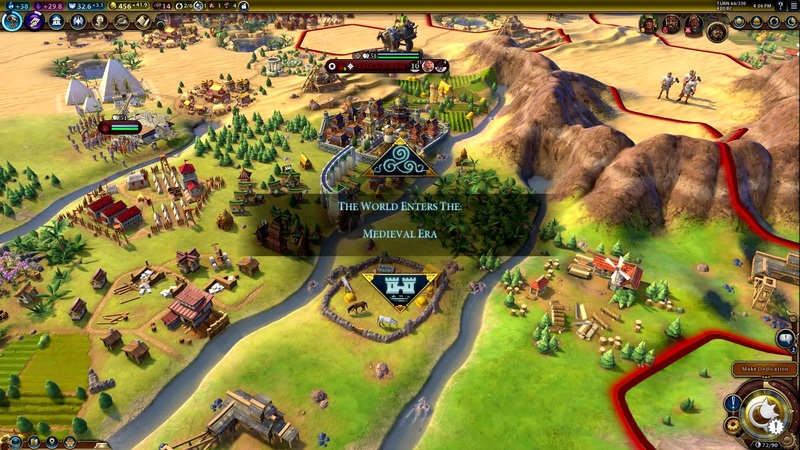 There are eight new Civilizations and nine new Leaders this time around: Poundmaker (The Cree), Wilhelmina (Netherlands), Tamar (Georgia), Seondeok (Korea), Lautaro (The Mapuche), Genghis Khan (Mongolia), Robert the Bruce (Scotland), Shaka (The Zulu), and Chandragupta as an additional leader for India. They definitely have personality and the new Agendas offer some interesting foils to current play. I'm currently feeling Chandragupta's massive warfare expansion capabilities, Seondeok's strong science bonuses, and Wilhelmina's powerful trade and resources perks. 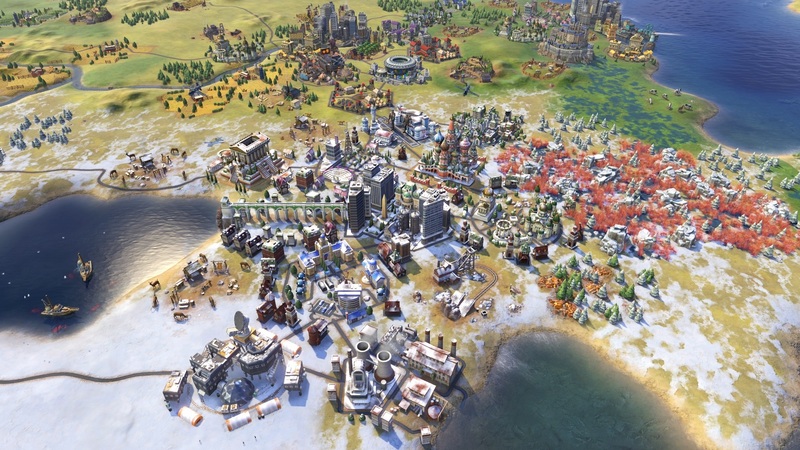 Overall, a lot of Rise and Fall seems aimed at keeping a Civilization VI game more competitive and even over a longer term. Loyalty allows for changing borders and flipping cities, but also prevents things like spoiler cities and aggressive military expansion. Governors let you hold onto a city a bit better, smoothing over areas where you might be deficient. Emergency Situations let players band together to stop a powerful Civ, while Golden and Heroic Ages help out those who have fallen behind. With Rise and Fall, you're less likely to have a single Civ completely run away with the game. Some may like that, others may feel it's unnecessarily constricting. I'm very much onboard for the return of city flipping, which was my bread-and-butter style of play in older Civilizations. At the same time, I think there might be a few too many systems aimed at preventing a runaway Civ. Many of the systems also feel more 'board game' in style than classic Civilizations. Where are we in the Civilization Cycle? Rise and Fall feels a lot like Civilization V's first expansion, Gods and Kings. It adds some missing features back into the mix—thank you city flipping—but there are still other holes (Espionage still needs work) and some of the implementation here is messy. So, we're halfway there in my mind; one more expansion means the Civ Cycle is complete and Civilization VI becomes a Real Civilization™. Rise and Fall is damned fun, but I'm still looking forward to Civilization VI's final form. Rise and Fall adds a lot of well-meaning nuance to the base game of Civilization VI. The new Loyalty system allows for more peaceful play, offering border expansion and bringing back city flipping as a strategy. The combination of Golden/Dark Ages and Emergency Situations mean it's now harder for one player to surge ahead in a game. There are still issues though, including illogical AI decisions and espionage needing another pass. It's a great addition to the base game, but Civilization VI isn't quite done yet. Tagged with 2K Games,	Civilization VI,	Firaxis Games,	Macs,	PC,	Reviews,	Strategy.